When Grace Chapel Ministries of Southern Maryland began in 2001, the congregation made plans to begin at least three more churches, according to founding pastor Dr. Carl H. Snyder. They identified the areas and began to pray, even as they met in rented facilities. 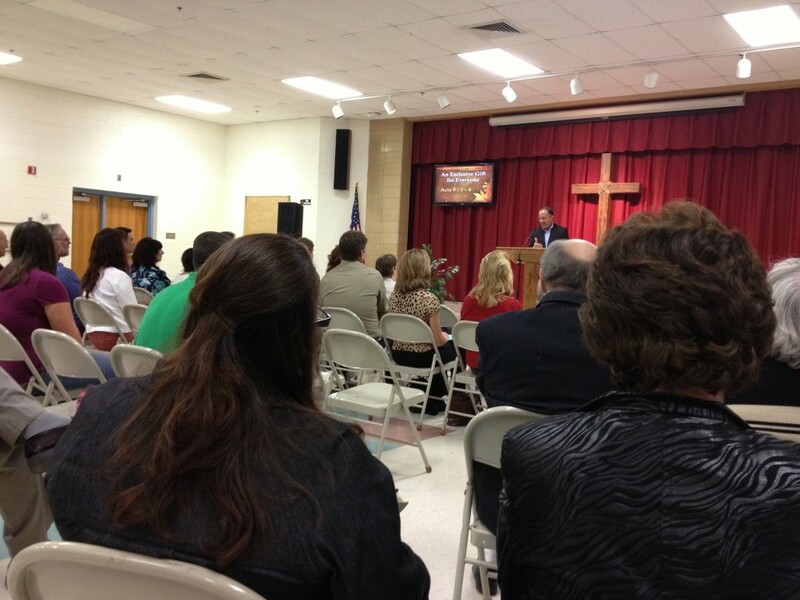 In 2011, the church moved into its own building, located at the corner of Route 5 and Highway 238 in Mechanicsville, Md. At the same time, God was raising up leaders for the new congregations. This year, the growing congregation in southern Maryland has seen two churches begin, including one that is anticipating joining the Fellowship of Grace Brethren Churches at next summer’s conference in Atlanta. Point of Grace Church, a Grace Brethren church led by Arthur Shepard, is located at Park Hall, Md., and Scott Carlson is pastoring Redeemer Bible Fellowship in Lusby, Md. “God just did it,” says Dr. Snyder. “I can’t take a lot of credit for it, other than identifying that God is in it,” he adds. He says that the Mechanicsville congregation has provided the “safety net” for the developing churches, while allowing them to minister in their own communities. “They didn’t stand in the way of the gospel,” stresses Shepherd, adding that Grace Chapel has provided some financial support while also allowing the new congregations to use the facility for special services, such as baptism. The new groups are in areas that are in need of a Bible-teaching church. Though at different points along the southern point of the Chesapeake Bay, they have similar demographics. Lusby is located in lower Calvert County, Md., which boasts one of the highest standards of living for the state. Park Hall is located further south, across the Patuxent River, in St. Mary’s County near the larger community of St. Mary’s. It is a region known for hosting Maryland’s original settlement and state capital, but also an area where tobacco farmers and watermen earn their livelihood. Both have residents who work at the Patuxent Naval Air Station. Some even are likely to drive into the Washington, D.C., or Baltimore metro areas to work. Yet both areas lack a gospel witness. “There are thousands of people, but not many Bible-teaching churches,” says Carlson.